I always love discussions about R release names and their origin. I have been working on this list for a while – with the release of “Short Summer” today, I thought it’d be a good time to post! All of the release names are references to Peanuts strips/films. I think this is just so delightful! A few months ago, I attempted to get permission to embed the strips on our blog, but unfortunately it was denied (unless with a limited audience and password protection 🤷‍♀), so I’ve just linked to the comics – Enjoy! This is very close to the Peanuts January 5, 1960, however they mention January snowflakes rather than December. The “December Snowflakes” quote is from A Charlie Brown Christmas. Reference: This is a line Lucy says in the short film It’s the Easter Beagle, Charlie Brown! – referring to Easter as the “gift-getting season”. This also likely references the It’s the Easter Beagle, Charlie Brown!. Edit: Got some insider info from the source himself that this is from Charlie Brown and Snoopy Show! This is likely from the film You’re a Good Sport Charlie Brown, however there Peanuts November 22, 1953 does refer to being a “Good Sport” as well! Reference: This seems to be referring to a mini jigsaw puzzle, available on ebay! It’s a bit later in the clip, around 16:45. Reference: This is a page from the Happiness is a Warm Puppy book. Reference: It seems that MetLife created a Peanuts themed Fire Saftey Brochure coloring and activity book. Reference: This is a line from A Charlie Brown Christmas – Linus says “Gee, I didn’t know they still made wooden Christmas trees”. Peter Dalgaard made a gif to commemorate the momentous occasion! 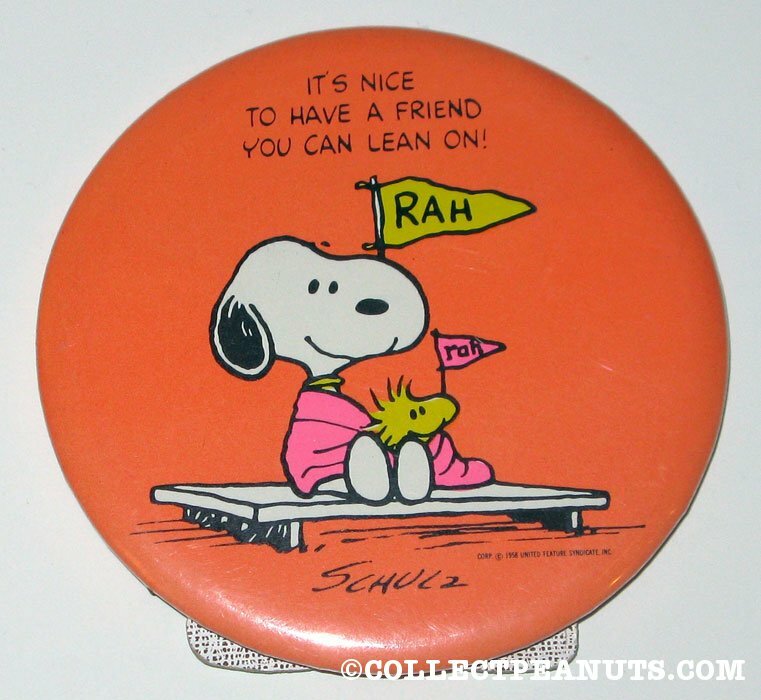 Reference: Peanuts Figurine (1971). 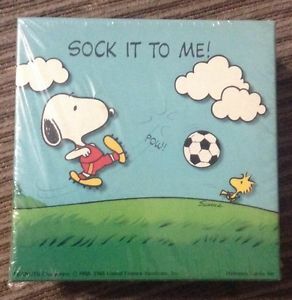 There are a couple of different versions of this, some with Charlie Brown and Snoopy, one with Linus and Snoopy, and one with Woodstock and Snoopy. Many of them were Hallmark cards, but there was also a badge and this figurine. The oldest (dated) one I could find was this one from 1971, so we went with that! Looks like we have some validation (thanks Peter!) – I’ve updated the Masked Marvel accordingly 🎉. Mostly on target. A few are from films/badges rather than strips. Notably Masked Marvel from the unforgettable arm-wrestling w/Lucy.